August | 2011 | IS THERE JUSTICE IN THE CHURCH OF GOD IN CHRIST? When I last communicated with Min. Morris in Nov. 2010, I asked if things had gotten better, his response was , “No,it has not, if anything it has gotten worse”. He said all the prayers had gone unanswered and he was no longer convinced God existed. What a travesty that this type of thing could have happened, how could this brother have been discarded ? Where is the concern from those in authority for the sheep? In Micah 6:8 the Word of God says He hath shewd thee, O man, what is good; and what doth the Lord require of thee, but to do justly, and to love mercy, and to walk humbly with thy God? In Psalms 89: 14, the Word of The Most High God says; Justice and judgment are the habitation of thy throne: mercy and truth shall go before thy face. 1 Samuel 8:3 tells us Samuel’s sons also perverted judgment (justice), And his sons walked not in his ways, but turned aside after lucre, and took bribes, and perverted judgment. Not all of the men in COGIC operate like this, I know for a fact, there are men of God in the Church of God in Christ who are working hard to correct injustice. I thank God for them and pray that God will encourage them to be strong in the power of our Lord and Saviour Jesus Christ. Did you know, as a church trustee, there are times you could be held legally liable for the actions and/or statements of your pastor? There are some who think trustees only pay bills and take care of the money. That is only part of their responsibilities, read the excerpts below. If it’s possible to lose your personal assets, shouldn’t you be involved in the selection? 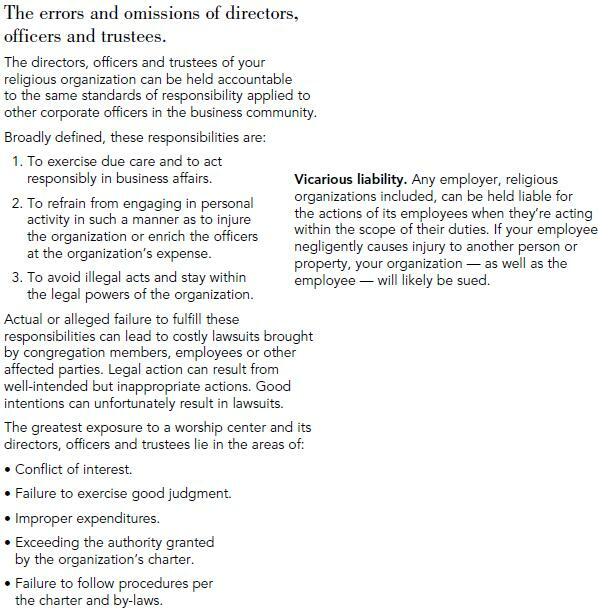 Just as the actions of a CEO can expose a company to legal liabilities, so can the actions of a pastor, volunteer, or staff member. For a church, that means not only the pastor can have his assets attached, but so can the local trustees. I know of a case in Virginia where a warrant was issued for a trustee and the individual had to post a bond because of something a Bishop’s designee had done. With this kind of potential liability, why would any one think the people with the risk should not have a huge amount of input into the pastoral selection. Anytime there is a chance someone can have their personal assets attached, that person should be able to choose. 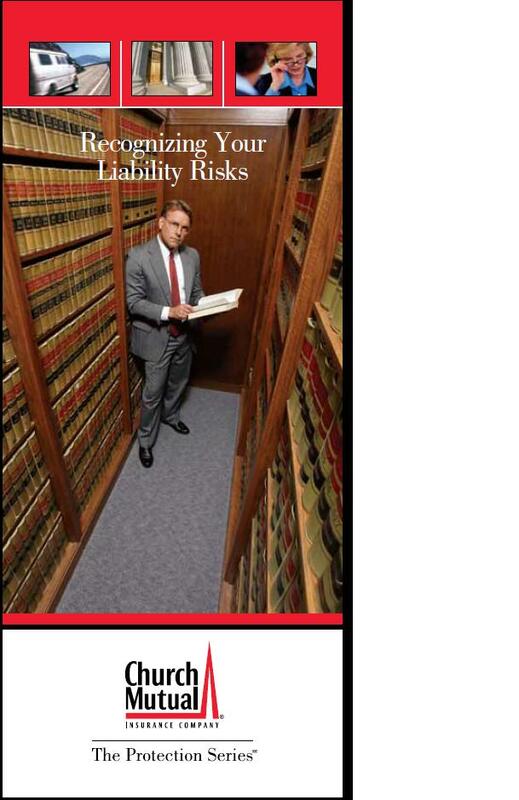 The person who “appoints” an individual also assumes large liability, in the event legal action is taken. Far to often appointments are made without a background check. As Bishop Blake said, “We now live in a litigious society…”, it would be wise to protect our local church members so their personal assets are not placed at risk by someone not of their choosing. This is an excerpt taken from a pamphlet Liability_Risk, found on the Church Mutual website.